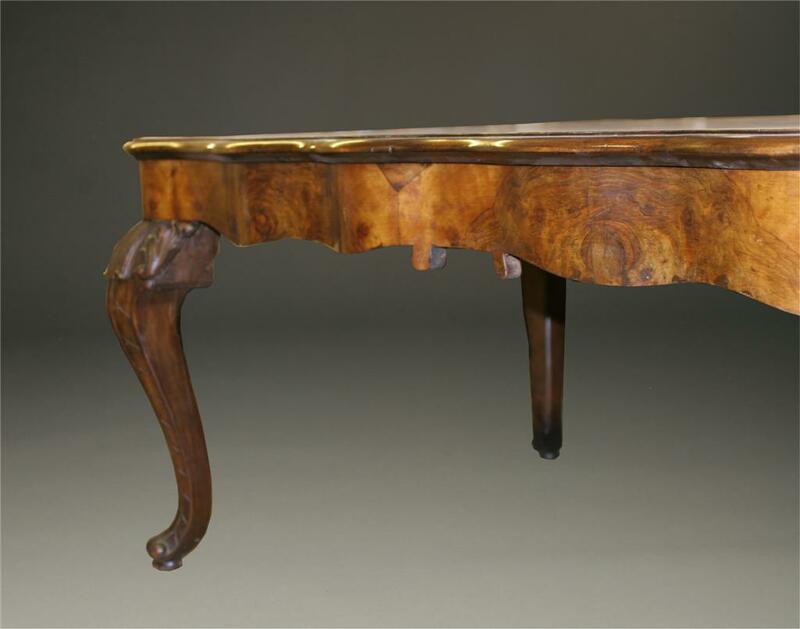 Exquisite bookmatched burl walnut graces the top of this Italian antique dining table, highlighting the highly figured veneer that features a lot of color and grain variation. 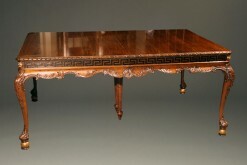 The edges of the tabletop are shaped to mimic the serpentine lines of the apron, adding a flowing feel to this substantial piece. 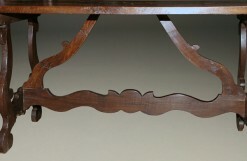 The apron is also inlaid with burl walnut. 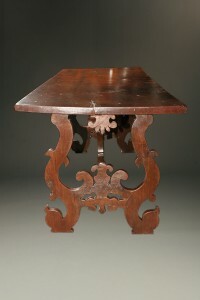 The dramatic walnut cabriolet legs are carved with acanthus leaf details as well as linen fold on the knees. 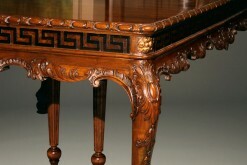 The patterns follow down the leg to scrolled feet. 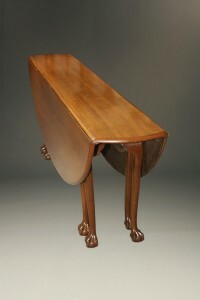 Circa 1900, this piece’s generous and sturdy design with dramatic aprons and larger scale is unusual for Italian tables. 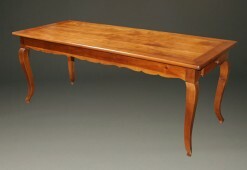 It’s semi formal appearance suits both today’s dining rooms and kitchens. 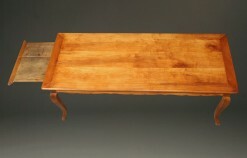 The table awakens the imagination, evoking images of families gathered around the dining table in an Italian kitchen filled with delicious food and wine. 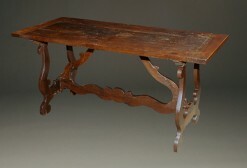 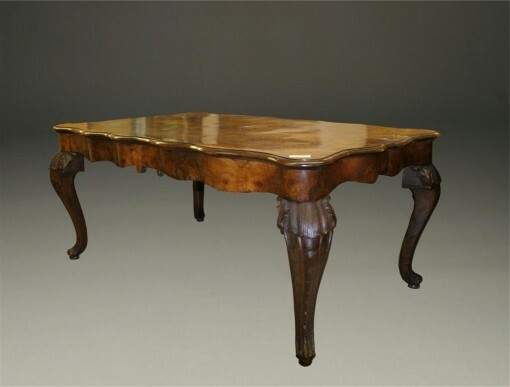 Mid 19th century antique Italian table from Tuscany province. 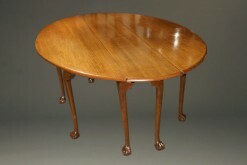 Vintage gateleg table with ball and claw feet in mahogany. 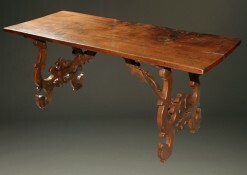 Hand carved table with foliate design under a Greek key pattern.